One thing I enjoy about playing a board game as opposed to a card game is watching the board change from the beginning of the game to the end. In a game of Poker, the chips move from player to player but each hand basically resets the game. Each hand of Bridge is similar other than the accumulated score. In many board games, however, the difference between the opening position and the end game says a lot about the feeling of playing the game. There are some games where the number of pieces on the board diminishes as the game goes on. The most obvious ones are Chess and Checkers as pieces are captured. One could argue that in a very, very abstract way these games are simulating conflict or a battle so watching the survivors fight for the final prize on a now open board really fits. Even though Backgammon also starts with a full board and ends with one player removing all his pieces, the fact that taking pieces off the board is a positive accomplishment in Backgammon makes the final feeling a bit different. 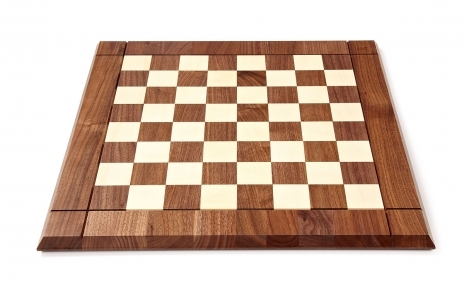 Your pieces are trying to get home and have to struggle through the crowded roadblocks the opponent sets up until finally, at the end, you escape and leave the board to your opponent’s pieces. Maybe it’s not surprising, then, that playing Chess leaves me feeling spent and exhausted while playing Backgammon grows more and more exciting as you get that last piece to the end. Then there are other games that start with a relatively empty board and gradually build up. In Monopoly houses and hotels emerge as the game goes on and the feeling of danger as your playing piece maneuvers through the minefield gets stronger each time around. With Scrabble you start with an empty board and then all sorts of combinations of words gradually appear so that no two games of Scrabble are ever the same. At the end of the game you can look back at the board and sort of relive the entire match as the words gradually spread out and overlap with one another. In tile laying games like Dominoes you even start with an empty table and the players build the board as they go by laying down tiles. Sometimes an arrangement of dominoes can be quite attractive by the end with all the branches and connections. I often think of games in terms of aesthetic experiences – the feel of the components and the colors of the board – so pondering the changing state of the board feels like a piece of performance art. Chess boards have a beauty at the very beginning with each side having the exact same pieces all lined up in a row. There’s anticipation of a battle about to begin. On the other hand a Scrabble board without words looks empty and dull but once those letters start filling in the squares it reminds me of the complexity of the English language and how words interact and spin off from one another. So after you declare a winner and before you put everything away, take a moment to look at end state of the board and think about the journey you went on to get there.